I have designed this Fulham tropical garden, lush and private with water rill, Eastern artefacts and access to communal gardens. Bamboos, banana plants, palms. 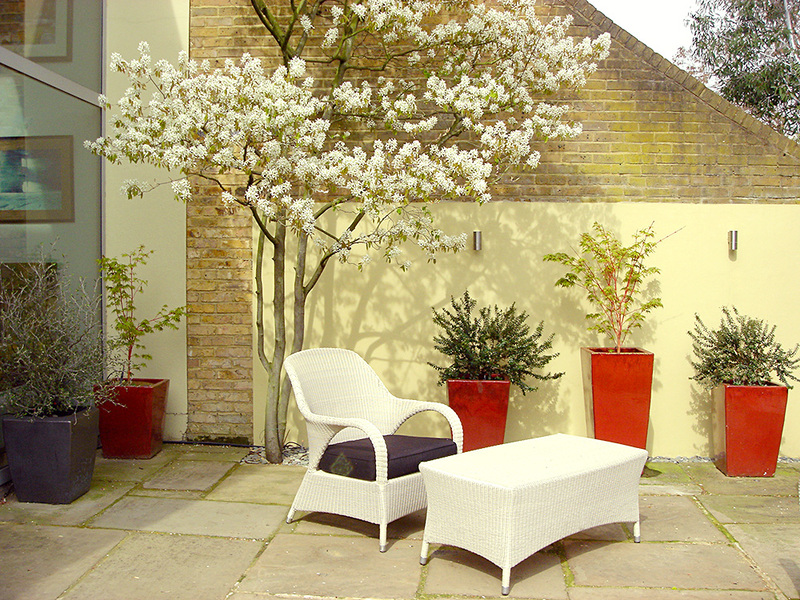 garden design for your London home? Or you simply need an updated planting scheme? Maybe lighting and water? If so, Henrietta Gentilli Garden Design offers 13 years of professional experience.
" Henrietta's studio provided a really beautiful garden which I still enjoy 3 years on. Her contractors were excellent and the build was effected on time and within budget. We appreciated her light-hearted professional and creative approach "
Henrietta Gentilli Garden Design is based in South West London. I have been designing outdoor spaces into beautiful gardens since 2004 - both urban and rural. Since my services range from planting advice to a full design project, I can offer as little or as much to your garden plan as you need. Your garden will be a practical but wonderful extension to your home. It would be unique to you. I provide creative and original ideas to suit your life style and budget. Both professional soft and hard landscaping services, by contractors with a good track record, make the plan a reality. I also offer a turnkey solution to garden landscaping - consultation, garden build and ongoing maintenance. My gardens range from Clapham and Dulwich to Battersea. From Wandsworth and Putney to Wimbledon - and beyond. My practice works in Surrey and W. Sussex on country gardens too.